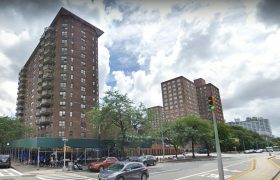 Applications are now being accepted for 144 mixed-income apartments at a brand new East Harlem building. 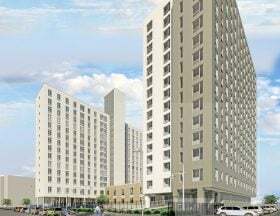 Developed by SKA Marin, the building at 1912 First Avenue, called The Gilbert on First, rises 16 stories and contains just over 150 apartments. 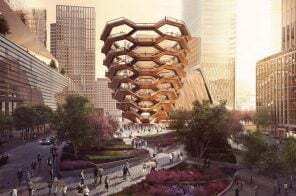 Qualifying New Yorkers earning between $13,200 and $199,650 annually can apply for the apartments, which range from a $328/month studio to a $3,009/month three-bedroom. 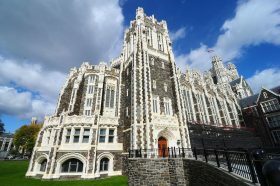 Now that “Operation Varsity Blues” has shown afresh the ways in which the nation’s elite can buy admission into prestigious universities, it may be instructive to consider the history City College, the flagship of the CUNY system, and the first free institution of higher education in the nation. 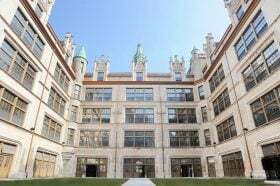 Founded as The Free Academy of the City of New York in 1847, City College has long nurtured brilliant students from all walks of life as the “The Harvard of the Proletariat,” and served as an engine of upward mobility for New Yorkers and other strivers from around the world. As the home of the first student government in the nation, the first student-led strike, and the first degree-granting evening program, City boasts a legacy of equity and equality that reflects the best ideals of the city it serves. Image courtesy of El Barrio’s Artspace PS109. Photo by Christopher Lopez. 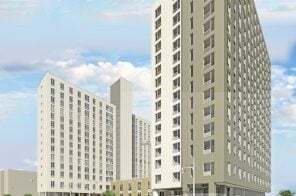 A housing lottery has opened for 400 spots on the wait list for residential units at El Barrio’s Artspace PS109 at 215 East 99th Street in East Harlem. Built in 1899, the limestone-and-brick neighborhood landmark was a school building until 1996. In 2015 it became El Barrio’s Artspace PS109, a project that transformed the then-abandoned public school building into a housing complex for local artists with affordable live/work housing for artists and their families and 10,000 square feet of complementary space for arts organizations. 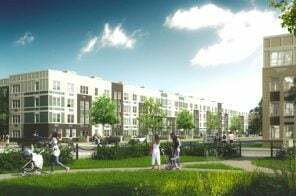 Qualifying New Yorkers earning between 40 and 60 percent of the area median income can apply for apartments which range from a $731/month studio to a $1,348/month two-bedroom. Harriet Tubman, the fearless abolitionist and conductor of the Underground Railroad who led scores of slaves to freedom in some 13 expeditions, fought for the Union Army during the Civil War, and dedicated herself to Women’s Suffrage later in life, was known as “Moses” in her own time, and is revered in our time as an extraordinary trailblazer. 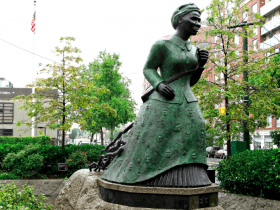 Her status as a groundbreaking African American woman also extends to the now-contentious realm of public statuary and historical commemoration, since Tubman was the first African American woman to be depicted in public sculpture in New York City. Dr. Martin Luther King, Jr. and his wife Coretta being greeted by Rev. 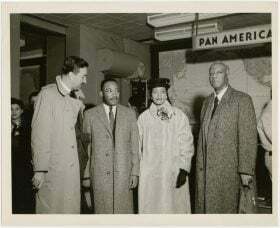 Adam Clayton Powell, Jr. (left) and labor leader A. Philip Randolph (right) at the Pan American World Airways terminal, in New York City: Image: Schomburg Center for Research in Black Culture, Photographs and Prints Division, The New York Public Library. (1950 – 1959). Open as of January 15, a new photography exhibit titled, “Crusader: Martin Luther King Jr.” at the New York Public Library’s Schomburg Center considers Reverend King as man, traveler and friend. The show offers an intimate travelogue of the civil rights leader’s visits to India, Nobel Peace Prize acceptance in Oslo, Norway, and work as a crusader for non-violent civil rights action, captured by noted photographers of the day. A record-shattering listing just hit the market: twin adjacent townhomes in Harlem are seeking a whopping $27,000,000 for both properties. The homes are currently independent but could be combined into a rather impressive megamansion. 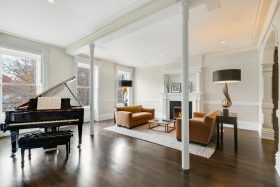 The price is unparalleled in the area and five times the record selling price of a Harlem townhouse, which sold last February for $5.1 million. 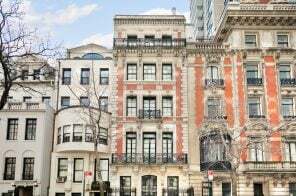 As Mansion Global reported, listing agent Siddiq Patterson of the Corcoran Group said he believed the price was justified by the property’s scale and storied past. “The bones and the history is something you just don’t get” with other homes in the area, he stated. Entering the 1880 townhouse at 210 West 122nd Street in Harlem is like stepping back in time. 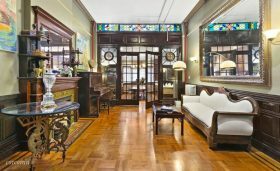 The six-bedroom property—now on the market for $3,750,00—is currently a bed and breakfast where guests from all over the world enjoy the grandeur of this authentic Victorian home filled with original details: mahogany millwork, stained glass transoms, inlaid floors, and seven fireplaces. The old world charm is balanced by luxurious 21st-century amenities including a recently updated kitchen and waterfall jacuzzis. Prospective buyers will be able to continue operating the bed and breakfast or simply enjoy this architectural gem for themselves. 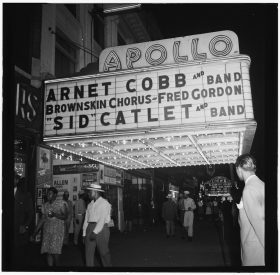 Harlem’s legendary Apollo Theater, which helped launch the careers of Ella Fitzgerald, Michael Jackson, and other such luminaries, is expanding for the first time since it opened in 1934, by adding two new performance spaces and additional office space as part of the redevelopment of the Victoria Theater on West 125th Street. 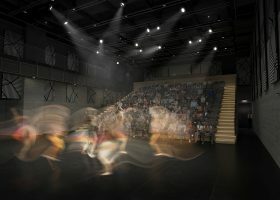 Scheduled to open in fall 2020, the new Apollo Performing Arts Center will allow the nonprofit Apollo Theater to increase the number of programming, educational, and community programs it offers.